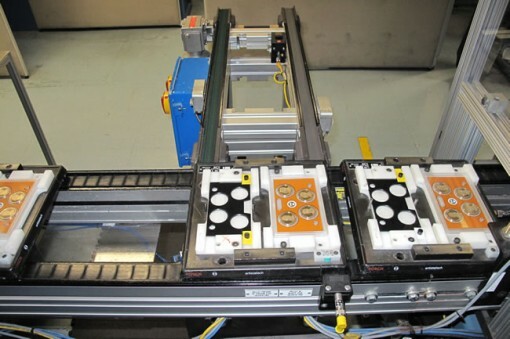 On Thursday, Feb. 14, 2013, the U.S. Mint began accepting orders for its 2013 Presidential $1 Coin Proof Set. Its price is $18.95. These dollars are both produced and packaged at the San Francisco Mint with each coin bearing the "S" mint mark. Etched along the $1’s edge is that mint mark along with E PLURIBUS UNUM and 2013. Every coin is, as the name of the set implies, in proof quality. "United States Mint proof coins are extraordinarily bright, with sharp relief and a mirror-like background. Their frosted, sculpted foregrounds give them a special cameo effect," the U.S. Mint website describes. "Proof blanks are specially treated, polished and cleaned to ensure high quality strikes. The blanks are then fed into presses fitted with specially polished dies and struck at least twice to ensure sharp relief." Presidential $1 Coins have a blended composition of 6% zinc, 3.5% manganese, 2% nickel with the remaining balance copper. Each weighs 8.1 grams and has a diameter of 26.49 mm (1.043 inches). 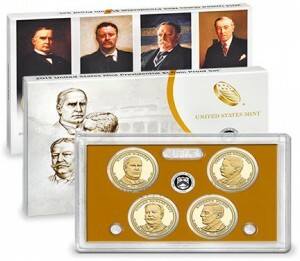 This year’s Presidential Dollar Proof Set sports improved packaging, as the image above highlights. Packaging for the sets this year is greatly improved in terms of the outer carton. The front of the carton has line art images of the Presidents along with what the U.S. Mint describes as a "ghosted" image of the White House. Found on the back of the carton are portraits of the Presidents and a companion coin image. Expect strong debut sales for this year’s proof set. Based on history, it will lead all products in next week’s U.S. Mint sales report. Last year’s proof set opened with 7-day sales of 146,097. Early demand from collectors tends to decide how many get produced. Last year’s set sold out unexpectedly with final U.S. Mint reported sales total of 249,298. Those preferring to call to place orders can reach the Mint at 1-800-USA-MINT (872-6468). The same 2013 Presidential dollar proof coins are within two other annual sets this year, the clad 2013 Proof Set scheduled for release on March 28 for $31.95 and the 2013 Silver Proof Set scheduled for release in May at a price of $67.95.